Nowadays, the subject of probiotics and their good influence on intestinal functionality seems to be on everyone’s lips. While no yogurt commercial is complete without them, there is actually more to these beneficial bacteria than regular bowel motility. Immunity is, of course, another major contribution probiotics bring to human health, with oral probiotics reinforcing the first line of defense against pathogens since early infancy. But, because the attention is shifted more towards the lower GI tract, people often lose sight of this highly important location for probiotics – much to all of our loss, as you will see later on. It’s pretty safe to say that most of us have heard a thing or two about probiotics by now. Their ability to improve digestion is celebrated by pretty much every natural yogurt advertisement, while specialists urge us to improve our internal probiotic count in order to attain overall better health. And, as it turns out, these microscopic bacteria also play a huge role in immunity protection – starting with the oral cavity itself. However, what are they exactly? In general, ‘probiotic’ (which translates to ‘for life’) is an umbrella term used to describe all the beneficial bacteria naturally inhabiting the human gastrointestinal tract, beginning with the mouth and all throughout the stomach, small intestine, and colon. These microscopic organisms cohabit alongside ‘bad’ bacteria in a very delicate balance, which can often be disturbed by numerous factors (diseases, prolonged usage of medication, stress, etc.). Probiotics are classified into families, the most important of which being Bifidobacterium and Lactobacillus. Their presence inside the gut is quantified in terms of CFUs – namely ‘colony-forming units’ – which can regularly constitute anything between 1 billion and 100 billion microorganisms for a healthy individual. These numbers are usually helpful because they can help you determine how much probiotic supplementation you might need on a daily basis, either through ‘natural’ sources (dairy products and fermented vegetables) or dietary enhancers. How do probiotics influence a person’s health? The most well-known benefit associated with probiotics is that of gastrointestinal functionality and wellness because, as an active component of the gut, these ‘good’ bacteria help decompose foods, accelerate substance processing, and enable for quicker and more effective nutrient assimilation. For example, the probiotic called Lactobacillus acidophilus has been shown to improve upon lactose intolerance by breaking down the ‘tough’ sugars in milk and therefore eliminating unwanted side effects like bloating, gas, and abdominal discomfort. In addition, probiotics can also regulate bowel motility, boost weight management, and reduce abdominal fat over time. Some studies even argue that this internal probiotic balance can translate into ameliorated symptoms of mental health problems such as depression and anxiety, as well as a steady decline in severe mood swings. But, aside from their indisputable contribution to gastrointestinal welfare, probiotics are also crucial in maintaining immune screening within optimal levels. For instance, did you know that up to 70% of an individual’s immunity shielding can be found at the level of the gut? This phenomenon occurs in light of the fact that probiotics can actually suppress the formation and potential overgrowth of various pathogens through their antimicrobial action, hence leading to fewer illnesses both inside and outside of the intestinal tract. Most people tend to think of the gastrointestinal tract as being ‘limited’ to the stomach, small intestine, and colon, although the upper section actively includes the mouth (also known as the ‘buccal space’), pharynx, and esophagus. As a result, the benefits of oral probiotics are essential not only in terms of oral hygiene, but also for your general protection against viruses, microbes, and fungi. In this case, ‘oral probiotics’ can be largely described as the beneficial microorganisms which reside in the mouth, throat, and even nasal cavity and that aid you in fighting off infections, diseases, and dental issues at the same time. The increasing number of studies focused on probiotics over the past few years has shown that probiotics can be a natural and effective manner of improving immunity all throughout the digestive tract, the first line of defense being the oral cavity itself. And it makes perfect sense when considering that most pathogens are either airborne or get ingested via dirty hands, contaminated foods, germ-ridden surfaces, etc. on a day-to-day basis, no matter how careful you might be. Obviously, this is where oral probiotics kick in so as to inhibit the development of ‘bad’ bacteria and keep you both healthier and happier than you would be facing an unfortunate coughing problem or nasty indigestion. The antiseptic properties of probiotics also come in handy in terms of dental and oral hygiene by combating issues like halitosis (bad breath) and cavity formation. Tooth decay is usually generated by the negative influence of various bacteria that feed on the small food remnants within the mouth and therefore result in cavities, gum swelling, and other long-term dental issues. This implies that having a good oral probiotic count can enhance your aseptic screening against such dental issues, canker sores, and mouth ulcers through a permanent antimicrobial ‘shield’. In fact, an ‘ideal’ oral probiotic should be able to cover four major areas, namely to reduce or eliminate pathogen formation at the level of the mouth, be adherent to the surface of your teeth, diminish inflammatory response at the level of the soft tissues, and exhibit very good adaptability regarding pH, temperature modifications, etc. Your mouth’s own probiotics meet these requirements on their own and therefore protect you against all kinds of local or more extended problems within the organism. Nevertheless, genetics, modern eating habits, and poor oral hygiene are nothing short of detrimental to oral health and ‘good’ bacteria numbers alike. It should also be pointed out that oral probiotics are the most ignored part of the gastrointestinal system. The probiotics in the lower intestinal tract are most often the centre of attention for supplement manufacturers, with better digestion and immunity being the normal taglines employed to market these niche products. But why not boost your food decomposition efficiency beginning with the mouth? And why wait until pathogens get further down the intestinal system and not nip them in the (taste)bud(s), as it were? To make matters worse, we either don’t routinely include probiotic sources into our daily regimes or we even resort to products that diminish oral probiotic numbers even further. Mouthwashes that contain alcohol are notorious for killing oral bacteria – which would be great if they were more ‘selective’ and did not wipe out the ‘good’ ones as well in the process, thus enabling for quicker development of plaque, tartar or even periodontal disorders. So, although resistant on their own, the beneficial microorganisms in your oral cavity can be easily affected on a long-term basis or even destroyed in part when supplementation is not introduced regularly. What are the best types of probiotics for oral protection? Lactobacillus acidophilus – represents a common presence in the oral cavity, where it aids with food decomposition and immunity protection alike. Some research has linked Lactobacillus acidophilus to fewer instances of tooth caries and plaque, as well as less occurrences of infections caused by the Streptococcus line of pathogens. Lactobacillus casei – is mostly found in the saliva of individuals without caries and other major forms of dental decay, a beneficial aspect which traces back to this probiotic’s antimicrobial and antiseptic properties. In addition, Lactobacillus casei is very adherent to the mouth’s soft tissues, meaning that it can promote its beneficial action against pathogens for longer periods of time. Lactobacillus fermentum – specialized studies have shown that Lactobacillus fermentum can greatly inhibit the formation of periodontal problems caused by harmful bacteria pertaining to the Streptococcus family. Moreover, this ‘friendly’ bacterium’s antimicrobial effects extend past the oral cavity and can even screen you against immune-threatening diseases as a consequence of its resistant colonies inside human saliva. 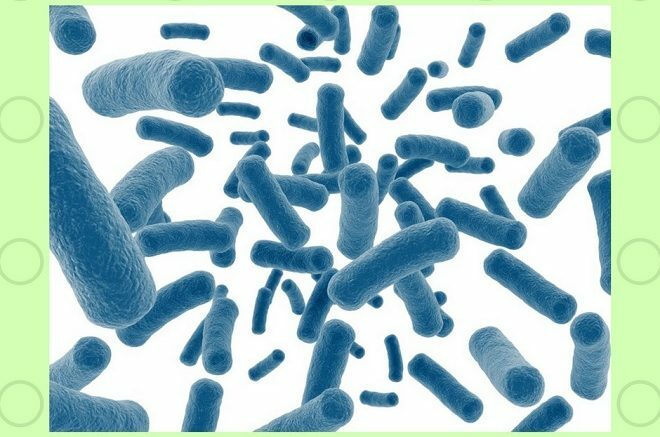 Lactobacillus plantarum – as yet another highly antimicrobial probiotic, Lactobacillus plantarum colonies can be easily found in the oral mucosa throughout extended periods of time owing to the resistance of the microorganisms to environmental changes. This then results in improved pathogen screening, meliorated food decomposition, and overall enhanced immunity within the body. Lactobacillus rhamnosus – this beneficial bacterium is one of the most widespread presences inside the oral cavity of humans. As a probiotic, Lactobacillus rhamnosus has been shown to adhere to the mouth’s lining and remain an active part of saliva even after weeks of supplementation, hence leading to greater immunity screening and fewer incidents of tooth decay. Lactobacillus salivarius – colonies of Lactobacillus salivarius have been mostly isolated from the tongue and saliva, where it works towards improving digestion (by breaking down food more efficiently) and immunity (through its antiseptic properties). Like all Lactobacillus family members, it can produce lactic acid and thus inhibit the formation of pathogens all throughout the gastrointestinal system (especially in the mouth and lower intestinal tract). How can I boost my oral probiotic count? Now that you have seen just how important oral probiotics are for general health, you might be wondering how you can increase your own ‘good’ microorganism count. Luckily, the market for oral probiotics has been starting to steadily grow in more recent years as a consequence of palpable scientific research emerging in favour of this niche, with more ‘traditional’ alternatives always being available too. ‘Natural’ sources – these include dairy products (soft cheeses, natural yogurt) and fermented vegetables (brine pickles, sauerkraut). By including them into your regular dietary regime, you could potentially increase your probiotic count all throughout the digestive tract, beginning with the mouth and ending with the colon. Lozenges – are ideal for oral protection because they maintain the probiotic colonies at the level of the mouth and allow for better fixation of the colonies. Just remember to slowly let them dissolve in your mouth (don’t chew on them) and refrain from using mouthwash for optimal results in time. Chewing gum – if you want to combine the beneficial action of probiotics and freshen up your breath at the same time, then you could resort to chewing gum varieties that are infused with ‘good’ bacteria directly from the manufacturer. In theory, the prolonged chewing action could help the colonies adhere better to the mouth cavity when used regularly. Nasal washes – can also be employed on a routine basis to enhance probiotic protection inside the nose, throat, and mouth. Not only will these help you breathe better, but they will also keep you safe from virus infections and maintain your buccal flora thriving without the side effects of other normal sinus medicine (for instance, their addictiveness). Dietary supplements – because they come in all shapes and sizes, probiotic supplements can benefit your entire gastrointestinal tract when administered on a day-to-day basis. While tablets and pills might work better in the stomach and intestines, probiotics marketed as powders and liquids have a stronger chance of adhering to the soft tissues inside the mouth (tongue, gums, etc.) and hence reduce halitosis, the incidence of cavities, and oral ulcers. There is no doubt that probiotics play a crucial part in the wellbeing of any individual, with the oral cavity being no exception. It is here where ‘good’ bacteria can help reduce cavity formation, decrease gum inflammation, minimize the occurrence of bad breath, diminish sinus or throat infections, and improve immunity for the entire organism. Just looking at all these varied benefits should help you understand why it is so important to have a healthy and substantial oral probiotic count. This goal can be attained fairly easily these days in a few steps, such as giving up alcohol-ridden mouthwashes, resorting to a healthier lifestyle regime (for instance, fewer refined sugars and more fruits and vegetables), as well as boosting your oral probiotics count through various commercial products. In the long term, the advantages of a normal buccal microflora can extend past dental hygiene and give you that overall antibiotic protection we all secretly long for. So give oral probiotics a chance and wave your pathogen problems goodbye! My name is Maya Caplin and I am the creator of ProBiotics America. 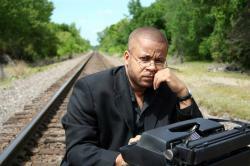 I love to write about probiotics. Why is that? 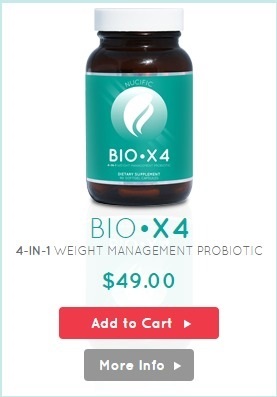 Because I firmly believe that you can substantially improve your health by taking probiotics supplements. Your body craves beneficial bacteria so it can continue to function at peak levels. As a probiotics expert, I've created this website so you can easily access all you need to know about how to create your own probiotics lifestyle. It's easier than you think. Changing your thinking to include the importance of what you eat is fundamental to everything about a new lifestyle. That's where I come in. My strong belief is that given the right information about anything, and you will be able to make accurate decisions that will bring you the best benefits. Learning all you can about probiotics is my number one goal for you. It's what I do best, and what I want to give to you. Choose your best life, and stay informed. My research is always thorough and I stay informed so you don't have to do the hard work yourself. 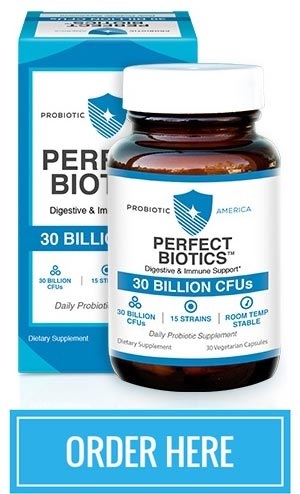 Just keep us bookmarked for the best in probiotic information you will ever receive. Be the first to comment on "Oral Probiotics: Reinforcing the First Line of Defense Against Pathogens"